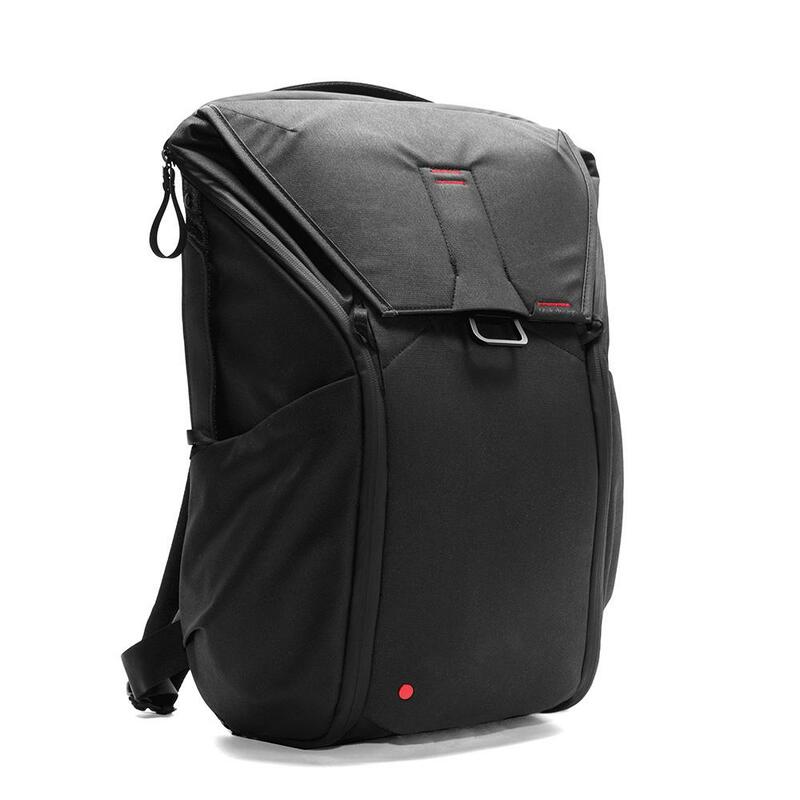 Leica Camera and Peak Design have teamed up to offer the Peak Design for Leica Backpack Capsule. Leica Camera and Peak Design have teamed up to offer the Peak Design for Leica Backpack Capsule. 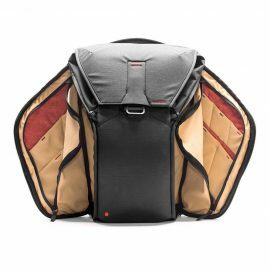 A very limited quantity of the Peak Design for Leica Backpack Capsules will be available exclusively to Leica Stores and Boutiques in North America from November 15, 2017 through December 31, 2017 or while supplies last. 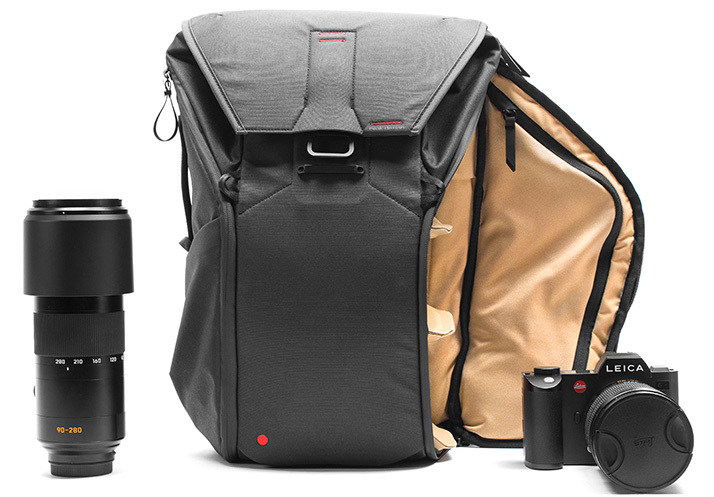 Consisting of a Backpack, Cuff and Leash from Peak Design, the Capsule re-imagines how photographers carry, protect, organize and access their gear. The limited edition Backpack pays homage to the Leica brand with signature red stitching and a ‘red dot’, making the Capsule an ideal, complementary accessory for Leica enthusiasts. Peak Design is a design leader who makes products that keep gear organized, protected, and accessible. The San Francisco based company prides itself in creating true utility through elegant, thoughtful design, making this a natural collaboration. Peak Design believes that less is more and that simplicity yields elegance. The Backpack adapts to ever-changing gear, lifestyle and environment. It gives unrivaled accessibility, expandability and organization. The patented MagLatch provides fast top access with dual side-loading via two weatherproof side zips. The backpack is suited for daily commutes and extended travel and can be configured in many ways with the FlexFold dividers to keep gear organized and protected as opposed to being bunched at the bottom of the bag. The backpack also features internally padded accessory pockets to keep small items in check and a dedicated sleeve for up to a 15 inch laptop, tablet and documents. 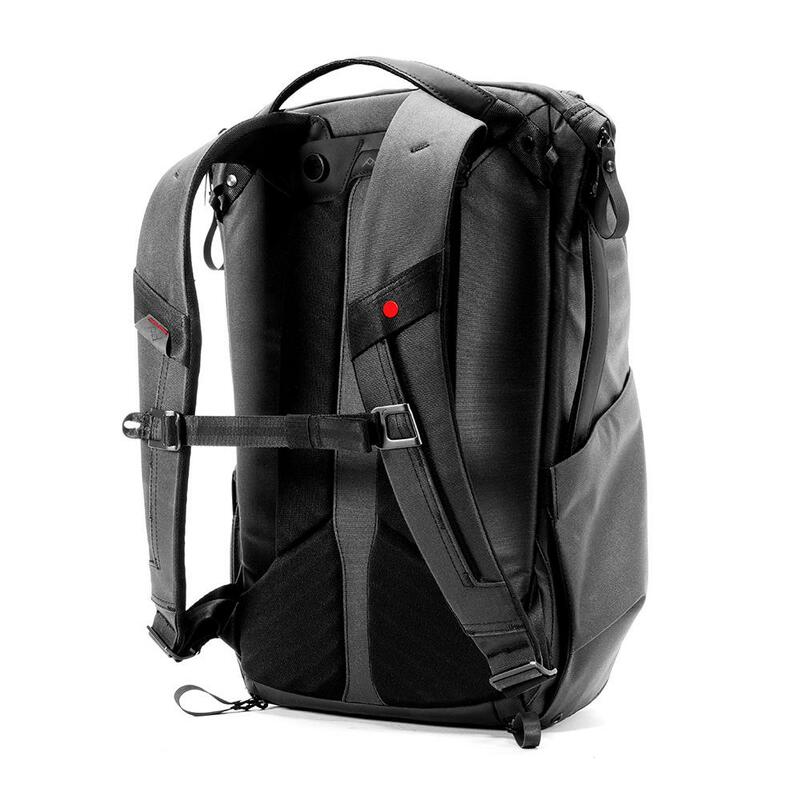 The black Backpack features a Red Rivet and red stitching on the top outer portion of the bag. The backpack also features a tuck-away strap system and 2 expandable external side pockets. The Leash (neck strap) is a versatile and quick-connecting camera strap. 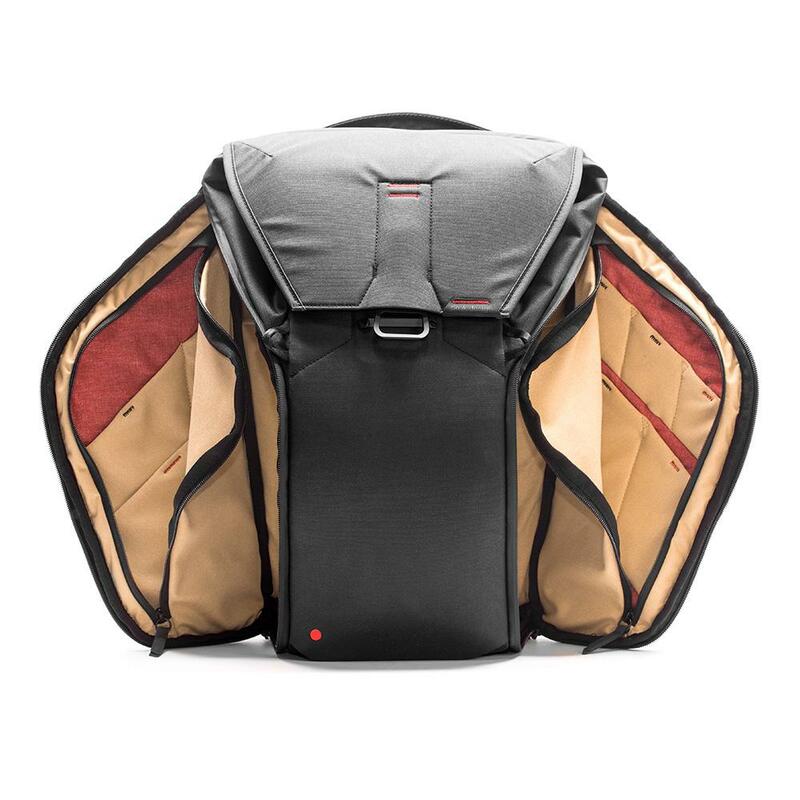 It packs functionality and endless adaptability into an ultra-portable package. It can be configured as a sling strap, neck strap, safety tether and more. The length can be adjusted with the dual aluminum and Hypalon quick-adjusters with just a finger. The Leash connects and disconnects quickly and stows easily in a pocket or bag. The Cuff (wrist strap) offered total peace of mind in a tiny, low-profile package. It is the most elegant, unobtrusive way to protect a camera from accidental drops. It connects quickly and securely to any camera, binoculars or any other device using Peak Design’s unique Anchor Link system. The wrist loop magnetically locks in the open position, or comfortably cinches down on the user’s wrist for added security. It features custom aluminum hardware. When not in use, the Cuff stores as a bracelet for quick accessibility. Max laptop dimensions: 15"x9.75"x1" (38x25x2.5cm) - Designed to carry up to a 15 inch Macbook Pro Retina, 2009 or later. 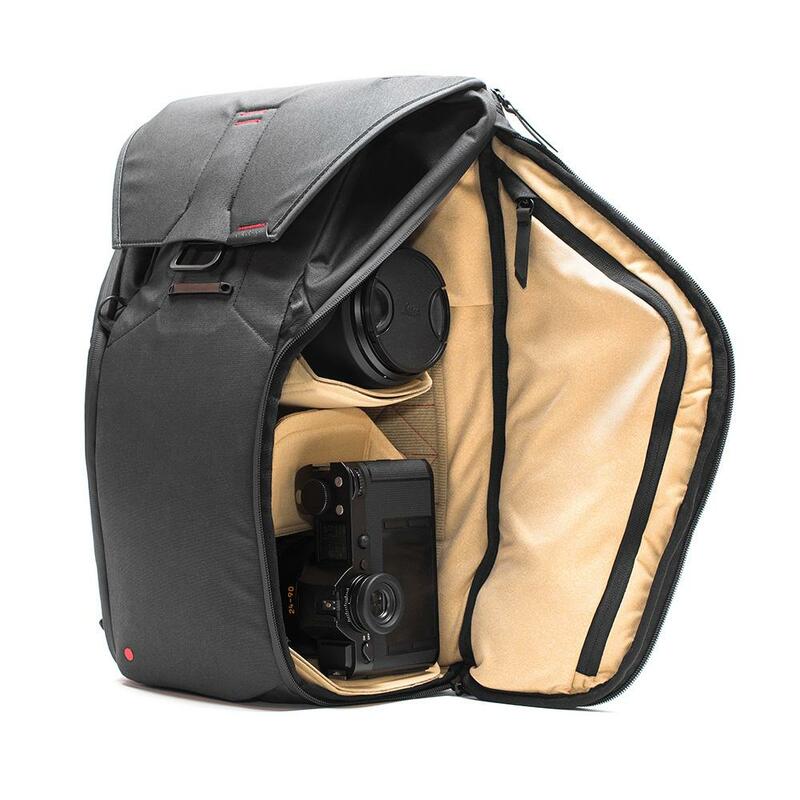 This entry was posted in Leica Accessories and tagged Peak Design for Leica backpack. Bookmark the permalink. Trackbacks are closed, but you can post a comment.